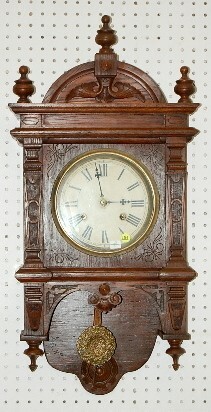 Antique Oak Waterbury Study Wall Clock brass trim; time and strike; carved case; 7 1/2" paper dial; embossed pendulum. (Some restoration to case.) 30"